Executive Director of Kyosho Corporation, Hiroyoshi Ishikawa looks to the future as one of RC’s most beloved companies moves out of their home for more than 30 years. The view of the building where the new offices will be located, from inside the entrance of the iconic Kyosho Building. 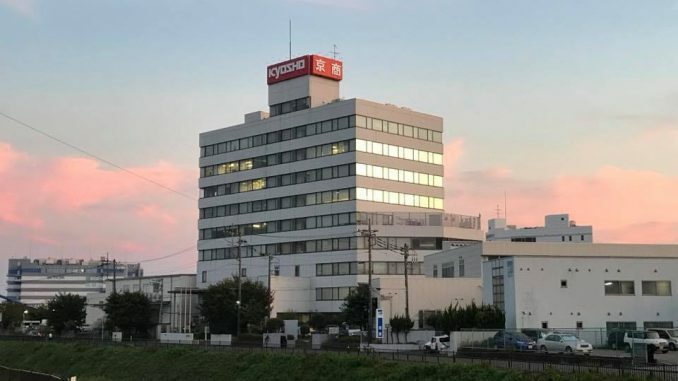 Since 1968, the last 50 years, Kyosho has owned their own buildings, and since 1987 the Kyosho Building in Kanagawa at the outskirts of Tokyo has been the center of Kyoshos developments and operations. 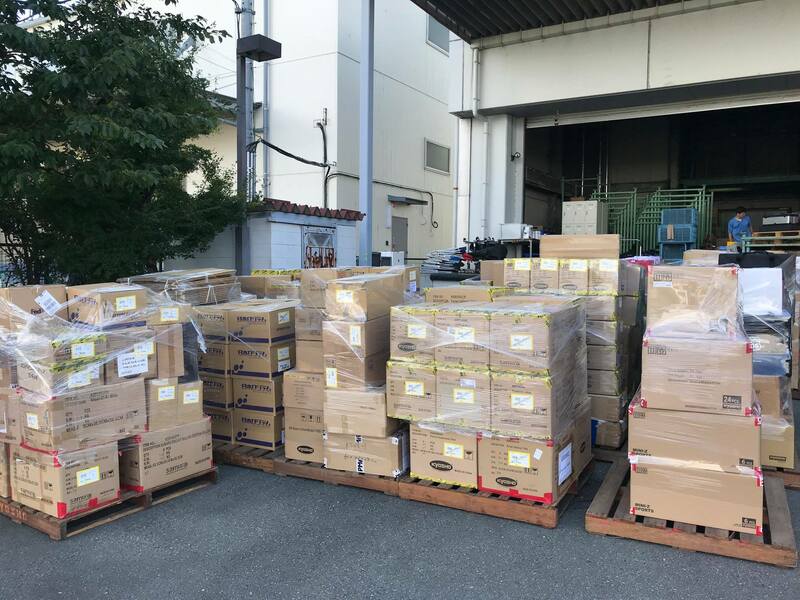 Friday 10th of August marked the end of an era, as Kyosho started moving it’s operations to rented space at the nearby “Atsugi Akuto Main Tower”, just a two minutes drive from the old building. 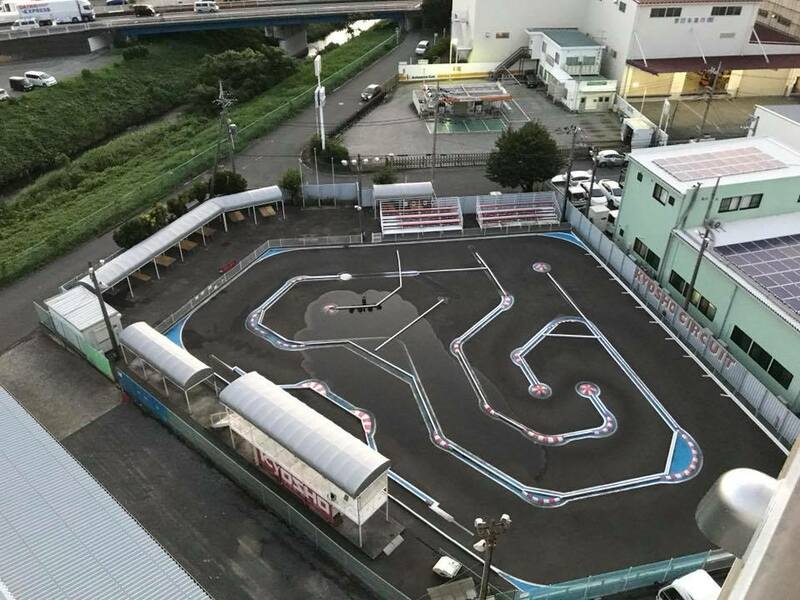 The Kyosho circuit located at the old premises has closed down, but they are looking at options for a new track. The Kyosho Circuit that is now closed. 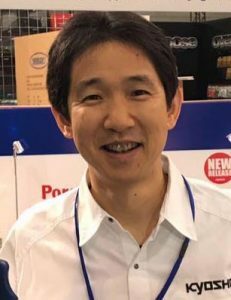 Executive Director of Kyosho Corporation, Hiroyoshi Ishikawa. 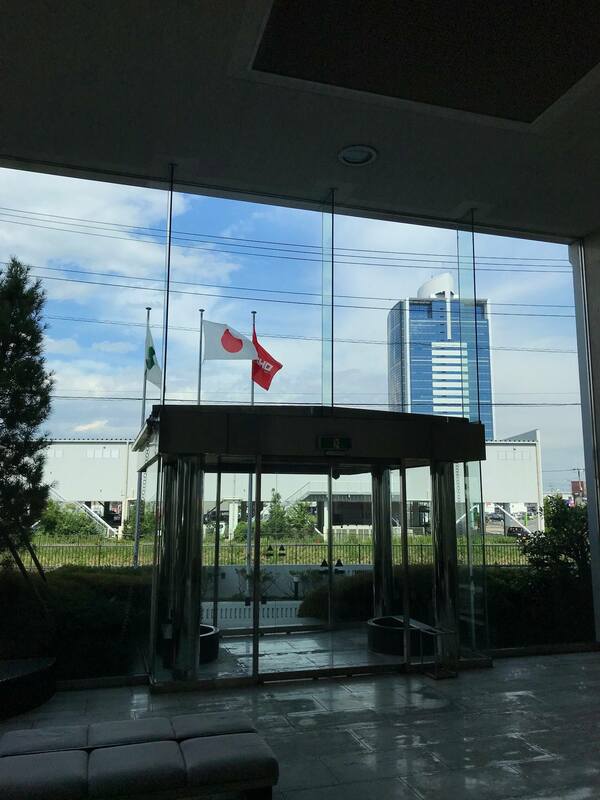 Hiroyoshi Ishikawa, Executive Director at Kyosho, says “it’s sad to say goodbye to a building full of memories as the Kyosho Building, a place I’ve been working for more than 20 years, but due to the expenses it was a necessary move to ensure the future of the Company”. There is no doubt Kyosho has a tough road ahead with it’s restructuring, but the Executive Director seems positive that this is a fight they could win. 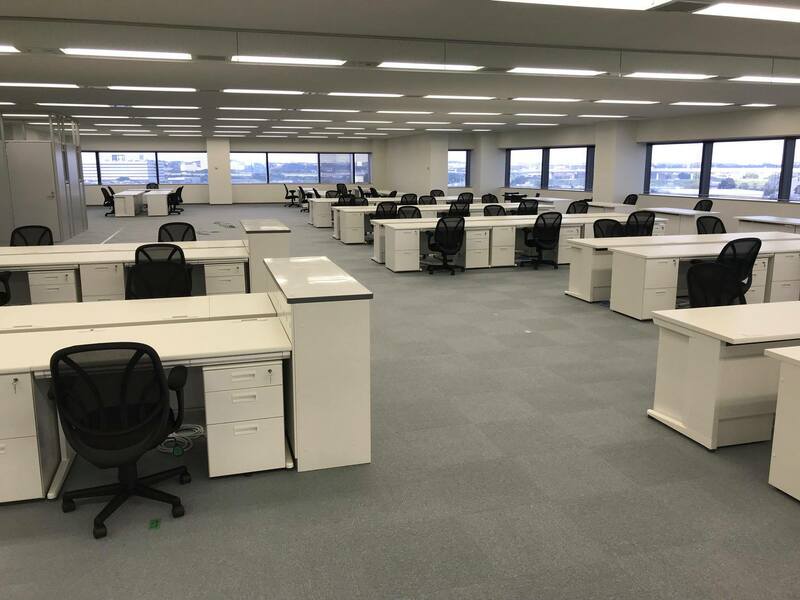 Business will resume in the new offices from August 20th, and let’s just hope that the view of the old Kyosho Building from the new offices will inspire to create new exciting products. 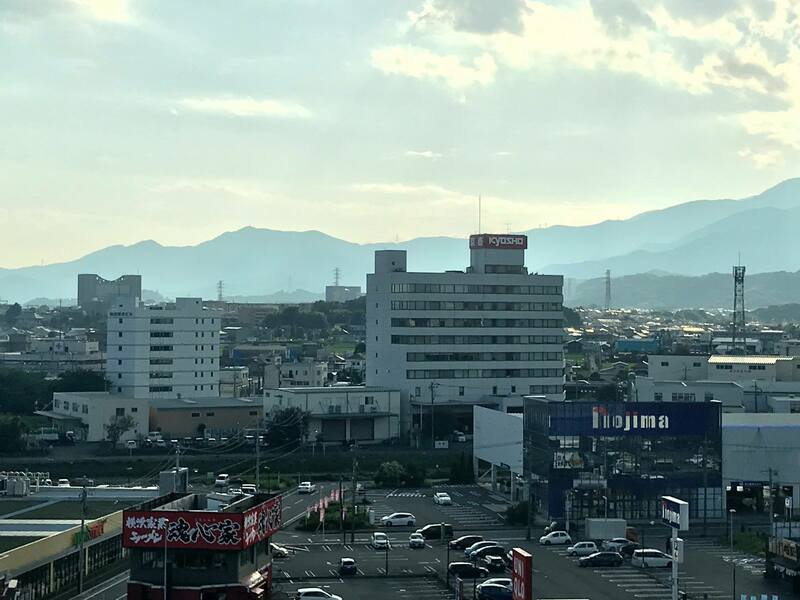 Mr. Ishikawa describes his first inspiring memories of the old Kyosho Building like this: “When I was a junior high school student I often looked at the the Kyosho Building while passing by on the highway, and it stroke me that I wanted to work with developing radio controlled models there. I was lucky that my dreams came through”. Kiyonori Mase from the product development group of Kyosho, who started working for Kyosho back in 1986 when the building was under construction, describes his feelings about the move like this: “It was the last day at the office where I have worked for 30 years. I am thankful for this place where I was given the opportunity to work with what I wanted, so thank you! I will continue my work in the new office. I’m inspired more than ever”. Mase, who also was a great driver, has a third place from the 1989 Japanese 1/10 electric off road championships. View of the old Kyosho Building from the new offices. The office space in the new building. 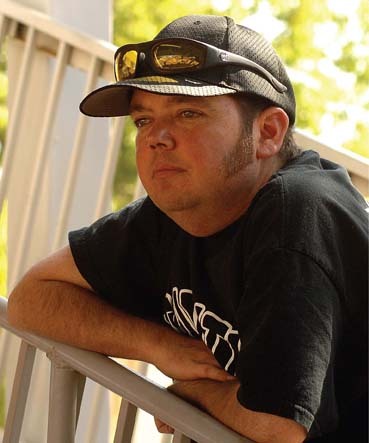 Being a life-long Kyosho fan I really hope they will get back on their feet again, but the whole RC industry is in a tough situation at the moment. Let’s just hope they can make the right decisions in the time to come, and that Kyosho can be inspired to continue delivering products that will follow you from a kid to an old man, like they did for me. More than 50 years of greatness moving to a new home. All I can do is relay the message from Mr. Ishikawa to keep supporting Kyosho in any way you can. Best wishes on the new journey. Guess the only way we get more rere’s from Kyosho, will be by supporting their new products too. If they can succeed in getting a healthy economy, they probably get more interested in pleasing us old dudes, with more models in the legendaries series. Any idea if they haven’t been satisfied with the sales of he other models, in the rere program? Yes, without the success of their upcoming products, there will be no more re-releases. What they think of the sales of the previous re-res is not something they seem willing to talk about. I guess it’s a business decision not to talk about such things. But the crowd funding campaign for the Turbo Optima wheels and tires should be a clear indicator that they were not satisfied with the sales. You got a point with the failed crowd funding. Maybe it would have helped them, if they had made it worldwide. Well still like my Kyoshos, so maybe some of the new ones will be added to the collection. I’m not surprised that Kyosho is having a hard time. While I love their models, their product strategy is misguided and flawed. The re-releases are half-assed and derivatives of a couple of models. They would sell more if they invested more. Their main models are totally overpriced. I have more than 50 kits in my collection. Would love it buy more Kyosho but there’s not enough selection, and prices are too high. This really came in a bad time, Kyosho really were in a roll with execellent re-releases. The thing about Kyosho that won me over from Tamiya and other brands is their incredible finnish and of course Mr.Kogawas design. Scorpion Beetle Tomahawk optima series and option house le mans motors? Ingenious! This company with it’s fine pedigree deserved all my support. I wish tem all the best and i am awaiting Mr:Kogawas next splendid design. They probably started the re-releases too late, and may have missed the momentum gained by Tamiya by starting, when was it, 15 or so years ago? Yes, the Turbo Scorpion was too far from the original for my liking. Make the re-releases as close to the originals as possible, and then make upgrade kits if you want “modern performance”. Like Schumacher did with the upgraded CAT drive train. With Kogawas many social media pictures of the new batch of re-re Scorpions in the making, I’m starting to wonder if something has been lost in translation somewhere, and that the “second generation off-roader” I was told he was making, might just be another run of Scorpion kits. But I believe the quote below means something along the lines of “This time it’s not a vintage series model”…..? I’m a bit confused at the moment, and I don’t see how another batch of Scorpions could be Kyoshos rescue line. Surely that market must have been filled already, with the Scorpion, the Beetle, the Tomahawk and the Turbo Scorpion? More Scorpions is not what people around the world are craving for at the moment. I just hope this new batch of Scorpions is in addition to a new model, and not that it is the new “second generation off roader”. Could really a “second generation off roader” mean a “second batch of Scorpions”? That would contradict the Japanese quote above. I don’t know, but I hope not…. I would like to read it as “Ultima”. Wishfull thinking perhaps. Yes, that or the Optima Mid would have been the logical conclusion when hearing “second generation off roader”. After all those were Kogawas second generation 2wd and 4wd off roaders. But he also specifically said “not vintage series this time”. Tom, is Kyosho doing its own manufacture or subcontracting production parts ? Kyosho have subcontractors both in mainland China and in Taiwan. The re-re Scorpion, Beetle, Tomahawk and Optima were made by a company called Kingstar in Taiwan. Kingstar also made products for HPI, Arrma, Axial etc. After the Optima was released, the Kingstar factory was shut down and production of the Turbo Scorpion and the Javelin was shifted to another factory in Taiwan. I have heard rumours that the new company actually is a continuation of the same Kingstar company (but at another location), but that is nothing I know for sure. I think Kyosho has done an amazing job with their vintage series. I really wish they would do the Turbo Optima, and start on the Original Ultima series! Personally, I think the vintage series will be better for them than the newer stuff, especially since the buggy racing scene seems to be in decline. I’m not a marketing guy though, so I could be wrong here.